Allowing employees to nap at work might seem like every boss’s worst nightmare. But research shows that 20-minute naps can make you more productive at work (1). Millions of workers around the world take midday naps to refresh (2). Afternoon breaks are an accepted part of the culture in places like Spain and Italy. So why do Americans view napping as a sign of laziness? Well, not every American thinks naps are unproductive. Some major American companies and organizations, like Google and NASA, want their employees to take naps. If napping at work still seems like a dream, keep reading. Does Napping at Work Really Make You More Productive? Have you ever wanted to lay your head down at work? You just know that a few minutes of rest would make you feel more productive. Too bad your boss disagrees. According to a recent study, scientists agree with you (1). A quick 20-minute nap would help you feel more productive. 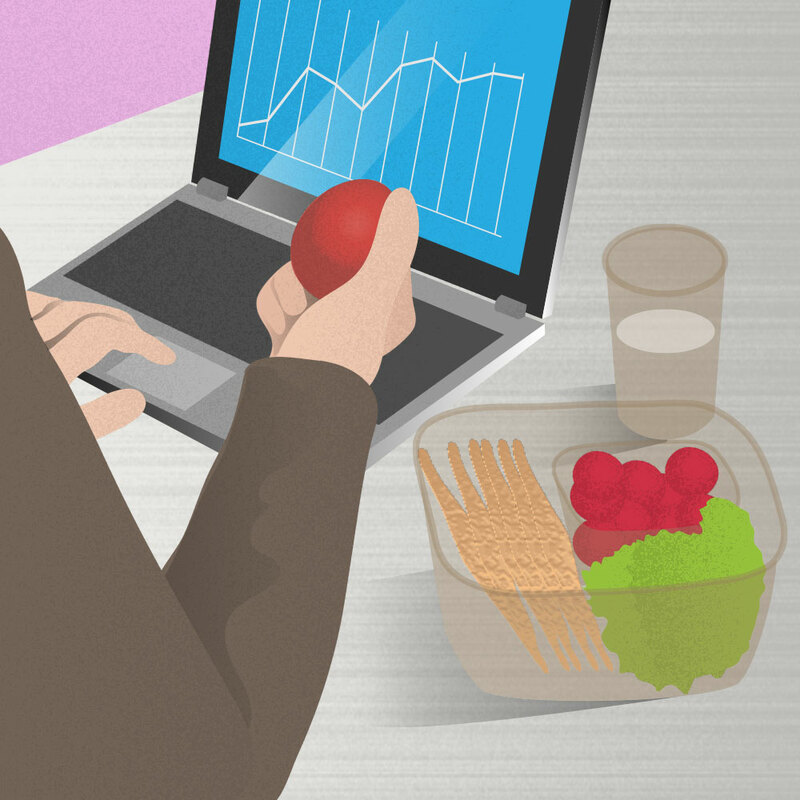 In this study, subjects took periodic tests during a workday. Without a nap, their test performances went down as the day went on. But, when the test subjects took short naps, the results got better. Ready to run to your boss with the results of this study? Napping improves alertness, workplace productivity, and the ability to process information. And this is possible with a 20-minute nap. Yes, that is all it takes to feel refreshed. Some countries already appreciate midday naps. Spanish siesta and Italian riposo give workers a few hours in the afternoon to nap. Even Chinese workers believe it is a constitutional right to take a post-lunch nap. So, why do American companies ignore the benefits of napping? Alright, to be fair, some American companies do embrace workplace naps (3). And it isn’t surprising that Google and NASA were some of the first places to offer nap pods to American employees. Huffington Post also allowed sleeping at work after their CEO collapsed from exhaustion. 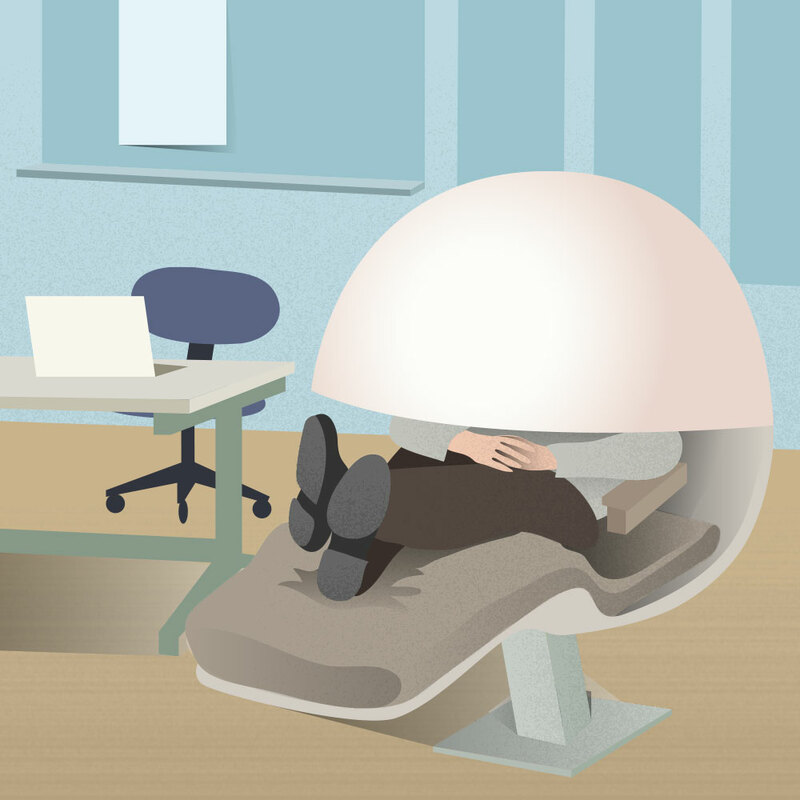 Many American CEOs would laugh at the idea of offering their employees a nap pod. They can’t imagine paying their employees to sleep. But, a quick 20-minute nap could help you feel more productive during the rest of your workday. (Remind your boss that productivity = profits). Why is it so Hard to Nap at Work? Here's the short answer: because you are not allowed to. It’s pretty hard to power nap at work when you know it could get you fired. While you wait for your company to embrace the napping trend, how else can you stay alert at work? If you are able to nap at work, make sure you create the perfect napping environment. Not sure how to take a nap at work? It’s simple. Find a quiet area, put on an eye mask, and set a 20-minute timer. Soon you will feel refreshed and ready to tackle your to-do list! Some companies understand the value of sleep. Your boss might wonder, “how long should you nap?” Well, tell them that it only takes 20-minutes for a productive nap. With time, more American companies might follow Google's lead and accept the value of naps. (2) “Napping Around the World." Sleep.org, https://www.sleep.org/articles/napping-around-the-world/. Accessed 28 Dec. 2018. (3) “5 Companies That Encourage Power Napping.” Sleep.org, https://www.sleep.org/articles/5-companies-encourage-power-napping/. Accessed 28 Dec. 2018. (4) "NAPPING." National Sleep Foundation, https://www.sleepfoundation.org/sleep-topics/napping. Accessed 28 Dec. 2018. A NASA study found that naps improved the performance of pilots and astronauts by 34% and alertness by 100% 🤯. These companies agree on the power of naps.